I am a firm believer that a website is your best salesperson - tirelessly working all hours of the day and night, delivering that critical first impression and continuously driving value for your potential buyers. In doing this, your website carries a megaton of responsibility. Its single greatest objective, however, is to deliver prospects the information they need, when they need it, and provide clarity around next steps. That's why understanding the buyer's journey is so important. There are several buyer journey models, but for the purposes of this two-part article, we’re going to explore the model HubSpot (and IMPACT) defines as the inbound buyer’s journey. Rather than a cut-and-dry explanation, in part one of the article below, we’ll try to bring it to life through story and examples. 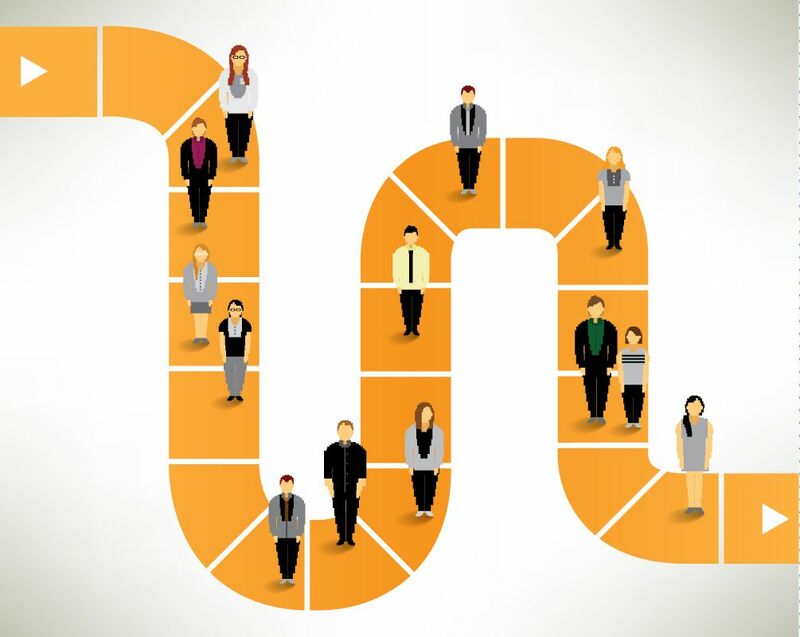 What is the Inbound Buyer’s Journey? 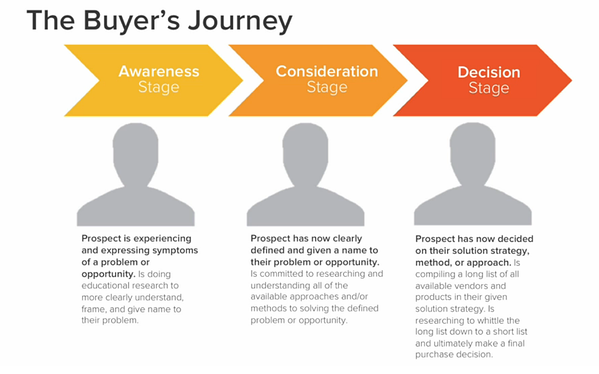 The inbound buyer’s journey is the active research process a potential buyer goes through leading up to their purchase. As we dive in, let’s first personify an example of a potential buyer (or prospect) and craft a story around their journey. Also, let’s understand and review the stages of this journey and what each represents. Keep in mind that the actual thought and research process may be different for your buyers which is why it is imperative to go through the Buyer Persona development process. Gary is a 34-year-old Data Analyst who is tired of continuously addressing the same database errors over and over again. Unfortunately, he isn’t equipped with the right tools to manage his data quality. He’s stuck using expensive, cumbersome on-premise software. In order to complete any reasonable fixes, he must consult with the internal IT team and HOPE that they respond before any critical business decisions need to be made based on his data. Gary is constantly being pressured by his manager around the quality of his data as a result of these issues. He knows that there’s a better way and tomorrow he has set aside a few hours to begin his research for a new option. This is the start of his journey. The first stage of the buyer’s journey is truly about discovery. Gary is aware of his data problem and heads right to Google looking for some resolution. He’s anxious to find high-level, educational content that will help him to more clearly identify both his actual problem as well as some initial requirements to address it. After absorbing several pieces of content, Gary will begin framing his challenges as well as his opportunities to solve them. With this understanding, his next step will be to begin “considering” the different solutions available. Entering the “Consideration” Stage of the inbound buyer’s journey means Gary can clearly articulate his exact problem. For the purposes of our story, Gary has identified that the reason he is consistently plagued with data errors is because he does not have any automation built into his data quality process. He must continuously rediscover the same issues every time he runs a manual query or check against the database. No bueno! Although Gary is still most likely not in a “buy-it-now” mindset just yet, he has educated himself enough to take the next step his buying journey where the big decision will be made. All of this effort will have led Gary to several solution provider’s websites. Based on the content he’s engaged with thus far, he’s been compiling a hot-list of vendors he believes will be the best fit, not only from a solution perspective, but also from a company culture perspective. In order to actually make a decision on a particular vendor, it means he’ll have to consume additional content that not only supports his working requirements mentioned above, but also appeases the Selectors, and Approvers, ie. his boss, and boss’ boss…. As we come to the end of Gary’s Buyer’s Journey, he’ll have built up enough trust and confidence in a particular vendor to make his ultimate buying decision. The three stages of the Inbound Buyer’s Journey are Awareness, Consideration, and Decision. Awareness Stage: Through online research, the buyer is trying to identify their own problems in a more acute and specific way. Consideration Stage: Once the buyer has identified their problem, they begin researching specific solutions for that problem, which leads them to potential solution providers, partners, or vendors. Decision Stage: After engaging with enough expert, trust building content, the buyer can filter their solution provider list down and make a confident decision in who they want to work with. Each stage of the inbound buyer’s journey requires unique content types that range from site pages and blog articles to downloadable offers and live demonstrations. Your website is truly your best salesperson and as such, needs to cater to the specific buying journey of your persona. Next week, in part 2 of this article, we'll look at specific elements of the buyer’s journey that help create a website experience that speaks to your buyer’s needs, problems, and behaviors and how to embrace them on your website. Check it out here!